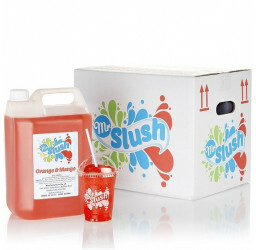 Mr Slush Troplical slush syrup is made using only premium grade food ingredients. Unmatched in quality and taste.. Available by the case of 4x5Ltr and delivered next working day. 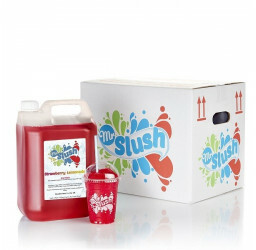 4 x 5 Ltr case of slush concentrate. Using only premium ingredients and real British sugar, there is no cost-cutting or low-quality artificial sweeteners in our Tropical slush syrup. Our professional manufacturing process incorporates high-temperature pasteurisation and high-pressure homogenisation which has a syrup to water ratio of 6 to 1. 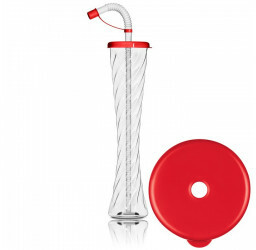 Our slush syrups will also protect your slush machine gear motors. 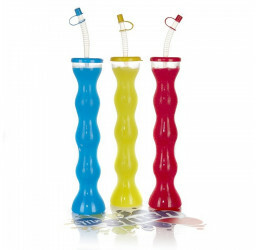 Below is a drinks yield per 4x5ltr case scale along with cup costs which includes the slush syrup, premium thick grade slush cup, slush straw and VAT. Slight ice expansion has been taken into account. 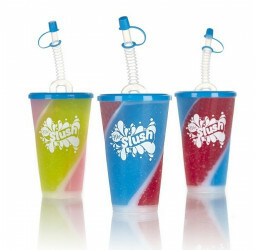 Tropical slush is a fabulous tasty slush drink which retains the colour and flavour right down to the very last drop. A popular choice with our customers because of the eye catching bright yellow colour, it has a delicious natural fruity citrus flavour with a tropical twist. 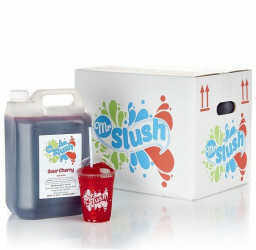 When you buy our slush syrups online, you'll receive your goods the next working day.